New England is a wonderful place to live during the summer, except for when it feels more like Southern Texas. The issue: Old, charming New England homes don't have A.C.. So my house feels like a 100 degree hot house. My children are even having trouble dealing! So today I only have the patience for one image and a short thought!! I wish I could dive right into this photograph. 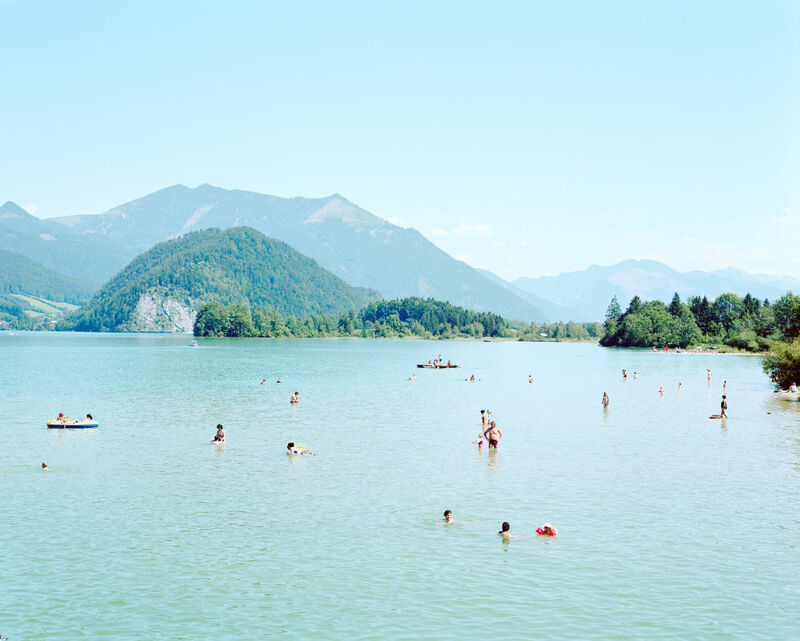 It's by one of my favorite photographers (many of you share this love) Massimo Vitali. I dream of one day owning an extra large copy of one of his beach scenes. Although, this lake shot is my favorite today! Happy Summer!